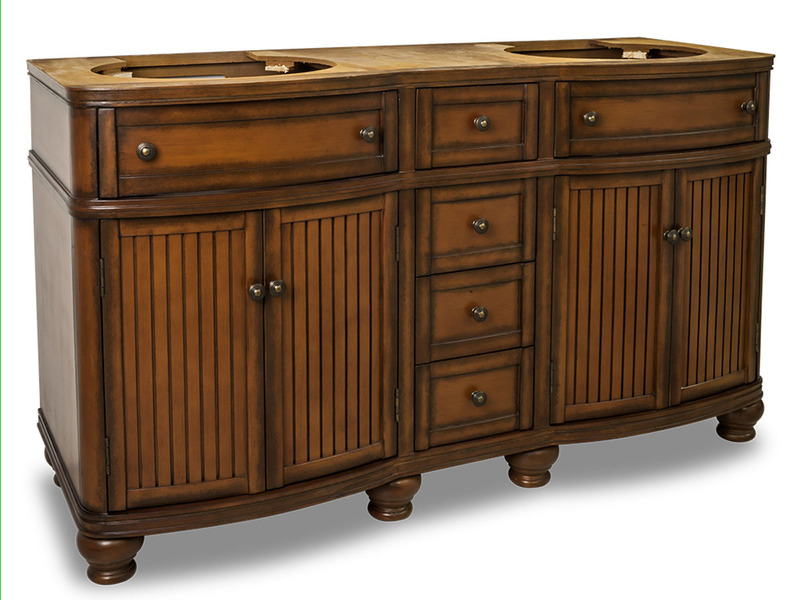 With its dark, mysterious countertop amidst the warming sensation of the espresso finished cabinetry, you'll find the 60.5" Venice Double Sink Vanity a stunning accent to your master bedroom. 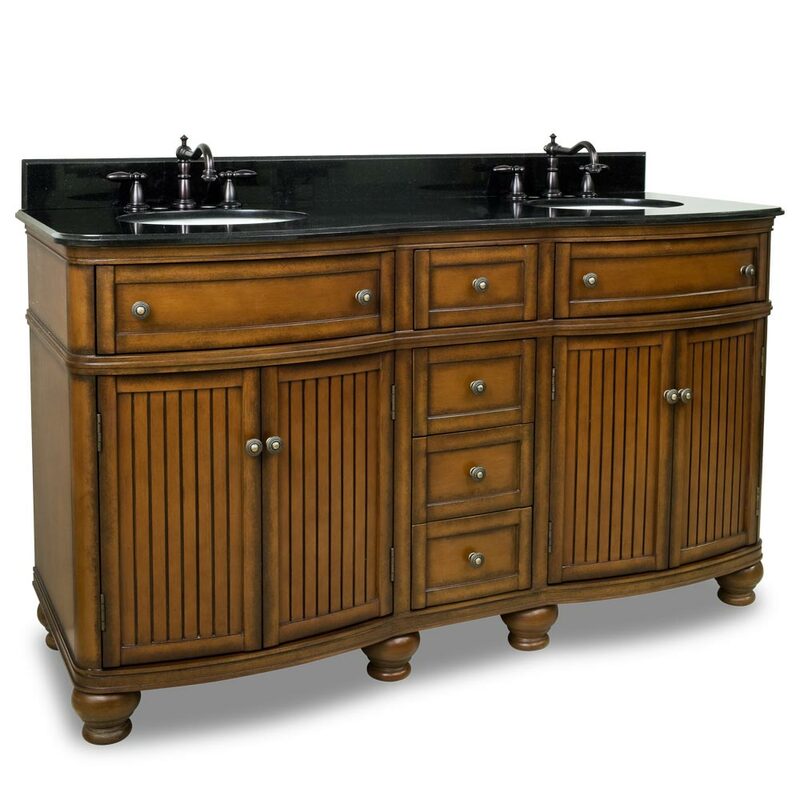 With a spacious black granite countertop with two porcelain sinks for his and her sides, you'll find an entire plethora of storage space in the Venice. 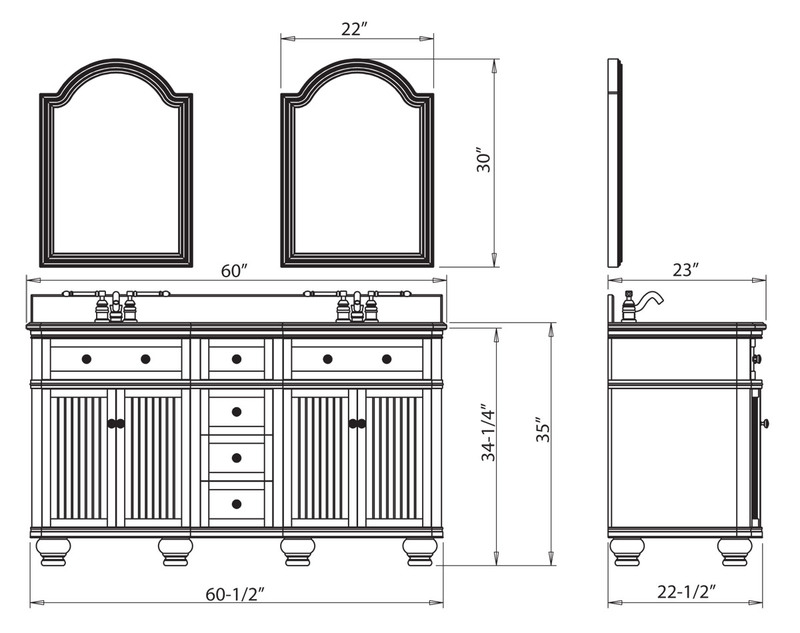 Each side of the vanity has 2 long and thin, drawers for individual bathroom essential storage while the four, central drawers provide even more space for a clean and organized storage space for everything else. 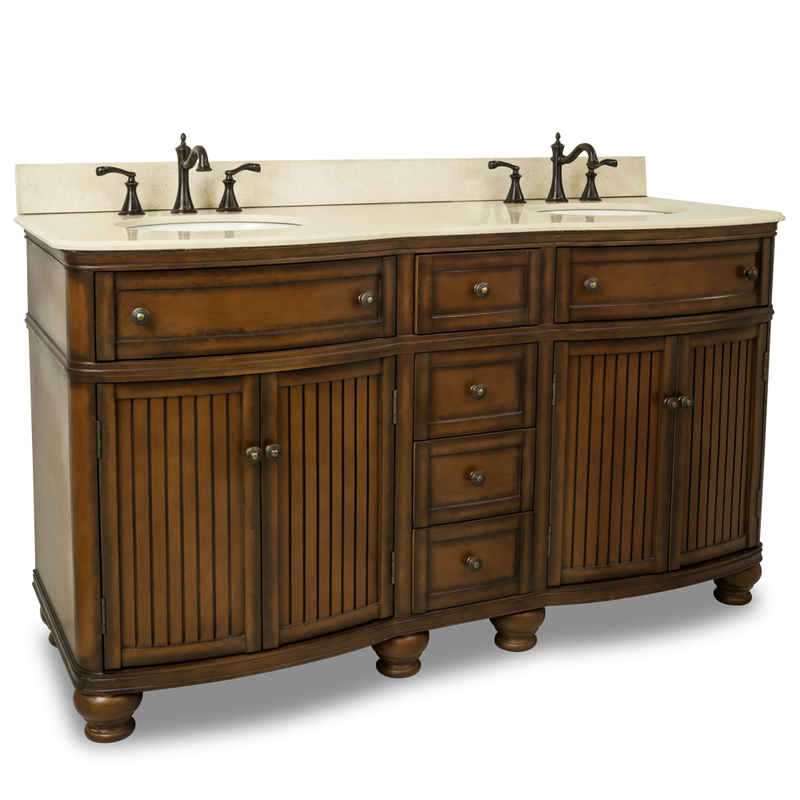 The two-door cabinets on either side of the vanity provide the traditional beauty and classiness that captures the entire vanity's style. 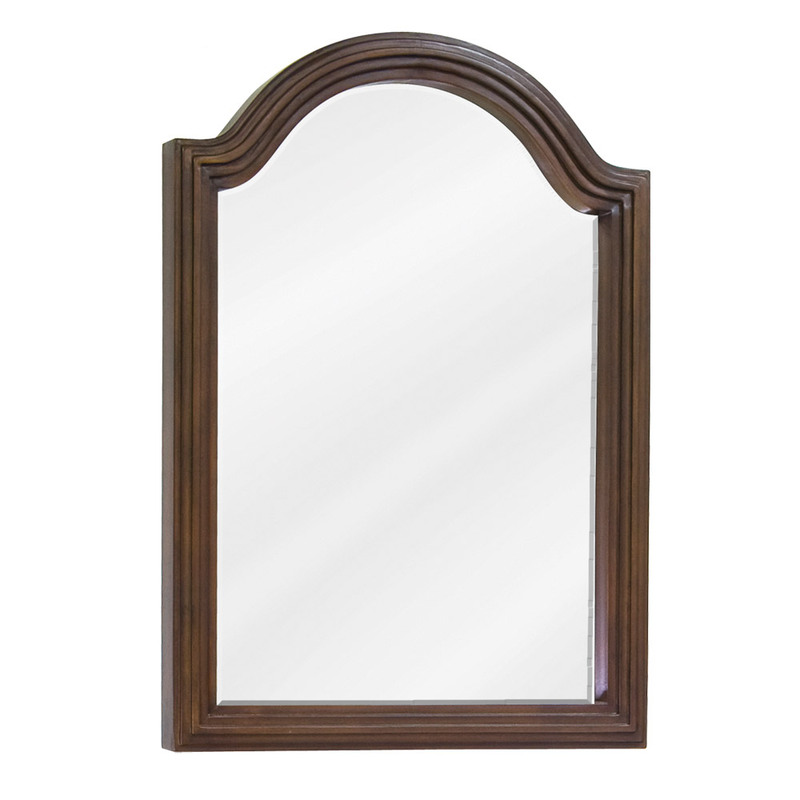 The eight legs that the Double Venice is perched upon also provide you with a stunningly beautiful and functionally savvy vanity you'll love for years and years.